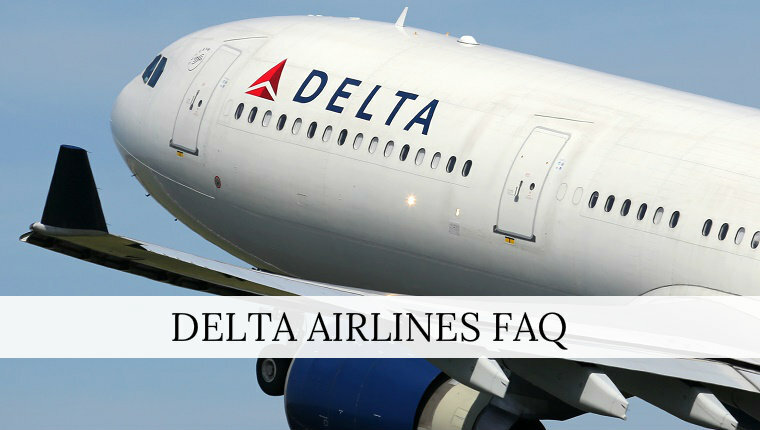 If you are a frequent traveler of Delta Airlines, then you need to check-out the following set of frequently asked questions. No.1 WHAT SPECIAL MEALS DOES DELTA OFFER to passengers? If you are traveling through any of the Delta flight, you can enjoy a variety of special meal options along with specific dietary, medical and personal preference needs. You can also refer to Delta’s special meal listing where you can view the available meals. The option of special meals is not for the passengers traveling on flights that originate from ELP, ABQ, or TUS. No.2 WHY CAN’T I CHECK MY PET AS BAGGAGE DURING THE SUMMER? YES, you can’t check your pet as baggage on Delta flights during the summer season as the airline has placed a stoppage on accepting pets as checked bags during hot weather. The reason behind this is the extreme heat i.e. 85F or 29C during the summer months which can put the animals in a life-threatening situation on board the aircraft. You can get more information regarding the Delta Airlines’ fares and ratings. No.3 HOW DO I MAKE ARRANGEMENTS FOR SPECIAL ASSISTANCE? The best option is to make a request when you book your ticket through reservations. If you need more details regarding that then the representatives of the airlines can suggest you while making your travel plans. These representatives will answer you all questions, discuss your specific needs and alert you against special notifications and procedures. For example, if you need oxygen or a respirator hookup aboard the plane, then you needs to inform the airline official’s 48-hour in advance notice or you need to do an early check-in. No.4 HOW CAN I CHANGE A FLIGHT ON DELTA? Firstly, you need to visit the website of Delta Air Lines. After that, click on the link to “Change Flights” on the itinerary that you wish to change. Then, choose the segment or segments of the trip that you want to change. Prefer to click on the flight option which you want to book. Lastly, pay for the new flight with by using your credit card. No.5 HOW DO I REDEEM A DELTA GIFT CARD? You can easily redeem the Delta gift cards for any Delta-marketed flight worldwide by visiting the website of Delta Air Lines. These Gift Cards can only be redeemed for the cost of air transportation which includes the taxes, fees, and surcharges also. These cannot be used for any additional fees like the baggage fees or for any other products or services such as hotel stays or car rentals. No.6 HOW LONG WILL IT TAKE TO PROCESS MY ONLINE REFUND REQUEST? You can cancel your itinerary at the time the refund is processed as all refund requests are subject to the rules of the ticketed fare and fees or penalties. In the case of cash or check purchases, refund checks are generally issued within one week of the date the refund is processed. No.7 CAN I CHANGE MY ITINERARY ONLINE? YES, you can definitely change your itinerary as these for traveling in the United States and Canada can be changed online. Only some types of tickets may require special handling from the Delta Reservation Sales.